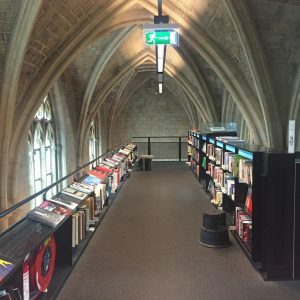 In continuation of my introductory post about Maastricht (read it here), I wanted to share some bookstores I visited. 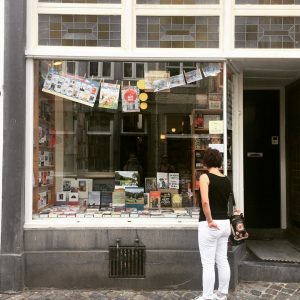 If there are any bookstores I missed or should visit, either in Maastricht or anywhere else, let me know in the comments below! 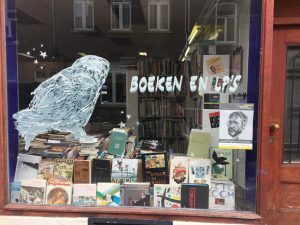 This one is probably the most known of the bookstores I visited. It is located in an old Dominican church. I have to be honest though, I did not like it as much as I thought I would. 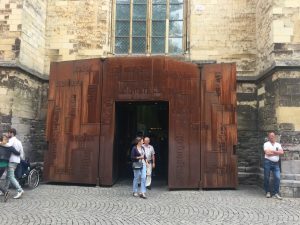 I had expected the books to be more visible, instead the view of the church was filled with banners and a metal structure. However, the selection of books was excellent and I could not help myself but to leave with 4 books. 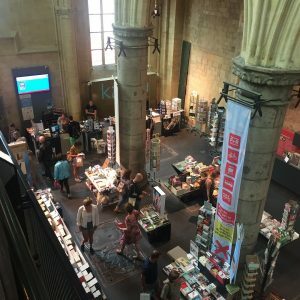 I would say it is still worth a visit, because how many times can you visit a bookstore inside a church! 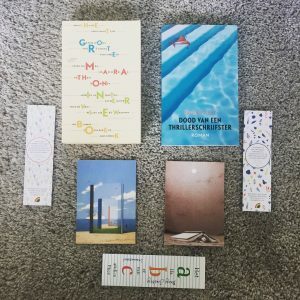 The second bookstore I visited that day I found by accident. 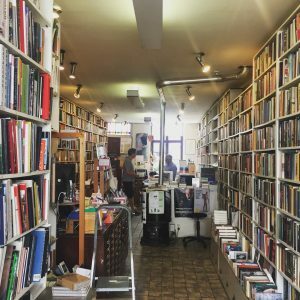 I was looking for ‘De Tribune’, but because I had no idea what I was doing I ended up finding this small secondhand bookstore. 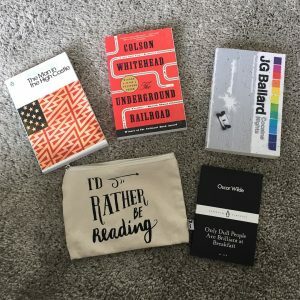 I had a little browse, but mostly I sniffed the air. 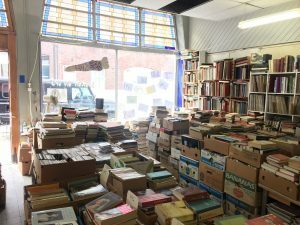 There is nothing like the smell of secondhand books. A smaller bookstore quite close to the Dominicanen church. This one was my favorite, just shelves and shelves of books reaching to the ceiling. 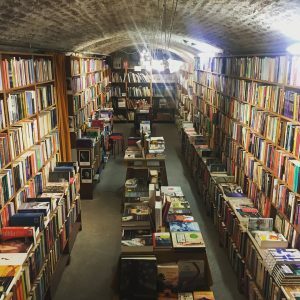 There was also a basement with even more books. Perfection. Alright, that’s it for now. Next week you can expect a post on the beer tasting we did at Gulpener!